With Halloween closely approaching, college students take advantage of the weekend to show off their costumes. Personally, Halloween stresses me out. I never know exactly what I want to be, especially because I never want to spend the money on a costume that I am only going to wear once! This year it took me a lot of time to think about what I really wanted to be. I figured if I was going to dress up, I might as well go all out. I certainly did! After many hours of searching online and brainstorming looking on Pinterest and Google, I finally decided to be the Black Swan. I picked up a simple black corset and black tutu. That was the easy part. I glued some black feathers to the corset along with some gems to give it a little extra flare. Perfect the easy part was done. Now I began to think… how am I ever going to pull off this makeup. 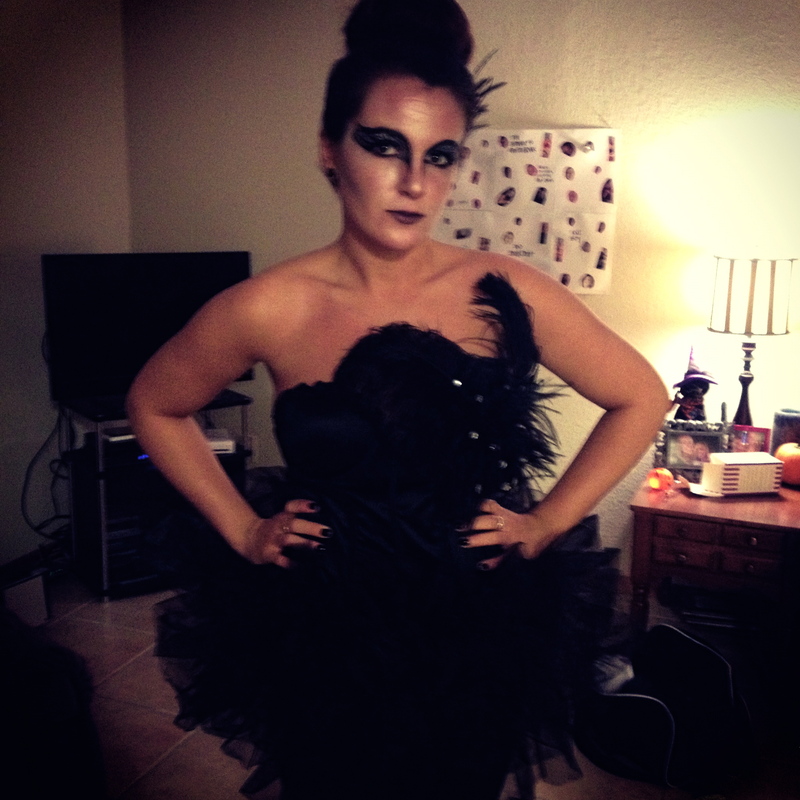 Well, with the help of a friend, I was transformed into the Black Swan, which ending up being my favorite costume I have ever worn out. Using white eyeshadow to make a pale complexion and Benefit Cosmetics Magic Ink Eyeliner we were able to achieve the perfect look. 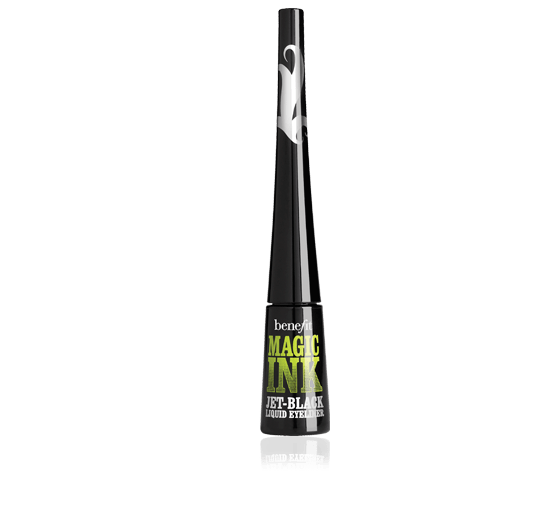 This eyeliner contains a small brush that tips out at the end allowing you to create the perfect lines going from think to thin! It also works great when you are trying to create a cat eye! This eyeliner is a personal favorite of mine. Another friend helped me to do my hair teasing it until it all stood up straight and spraying mass amounts of Herbal Essences Body Envy Volumizing Hairspray for a firm hold that did not move the entire night! Finally, with lots of bobby pins the perfect ballerina bun was created to complete the look! Thank goodness for my friends otherwise I would not have been able to achieve this look on my own!